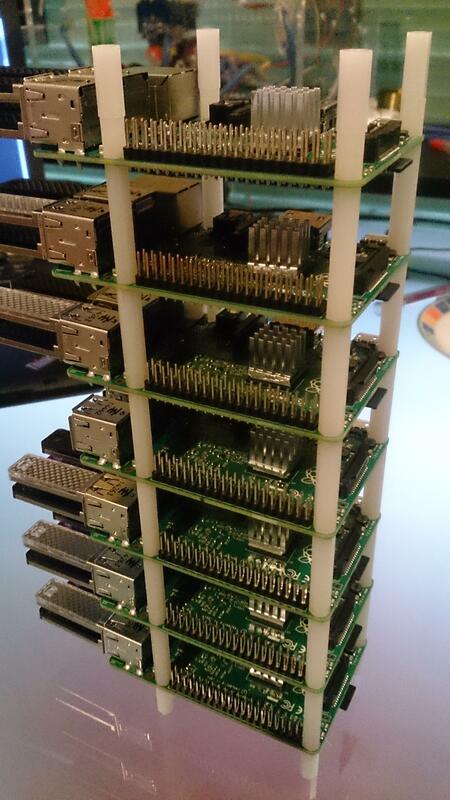 I finally got around to re-imaging my Raspberry Pi cluster to run Docker. I’ve used the Hypriot image, which worked flawlessly. And retrofitted some scripts to manage soft power control for the cluster nodes via the ATXRaspi board. I do want to get Ceph running on the cluster again, but will probably run that directly on the base Linux OS rather than in Docker. It can then present storage to the various Docker containers. Finally, for no particular reason, I cut up a heatsink from an old video card, and stuck them onto the Pi nodes.